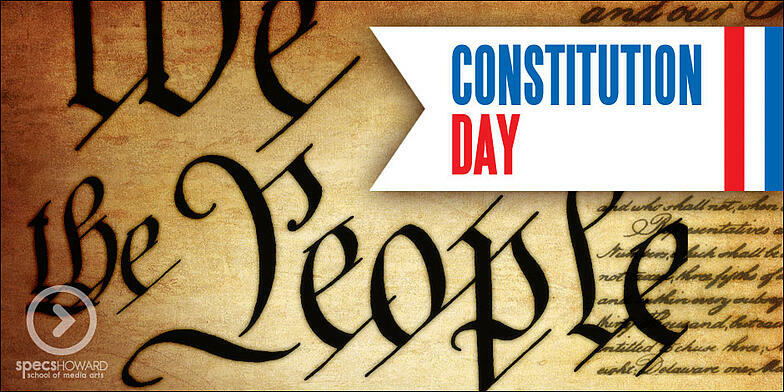 On September 17, 1787, the U.S. Constitution was signed by thirty-nine brave men who changed the course of history. Now Constitution Day is a time for us to celebrate their legacy and nurture good habits of citizenship in all generations of Americans. This year marks the 230th anniversary of the Consitution! On September 17, 1787, the U.S. Constitution was signed by thirty-nine brave men who changed the course of history. Now Constitution Day is a time for us to celebrate their legacy and nurture good habits of citizenship in all generations of Americans. This year marks the 229th anniversary of the Consitution!